There are several types of hand saws. 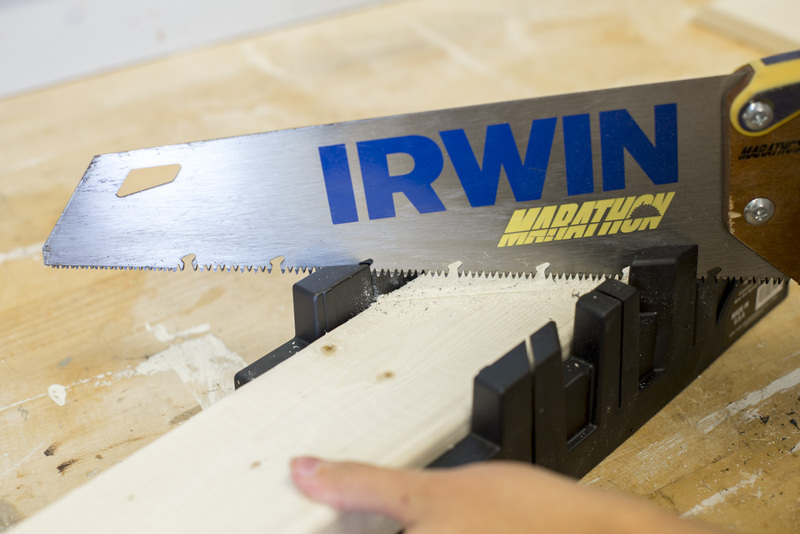 In this post, we'll cover a carpenter’s saw- which works well for rough cuts in soft wood. And a hacksaw, which is designed for making finer cuts and for cutting through hardwoods, metal, and plastic. 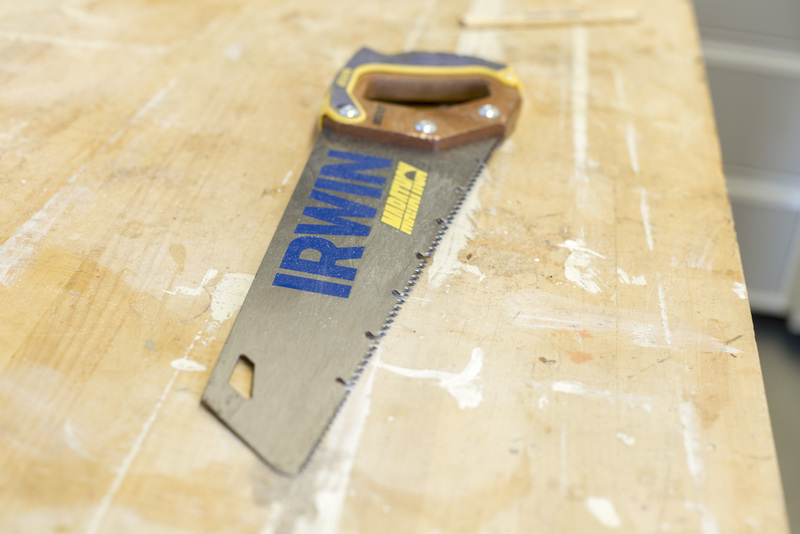 Hand saws are a great way to get your feet wet DIY-ing. When sawing by hand always wear eye protection and be aware of fingers getting in the way. 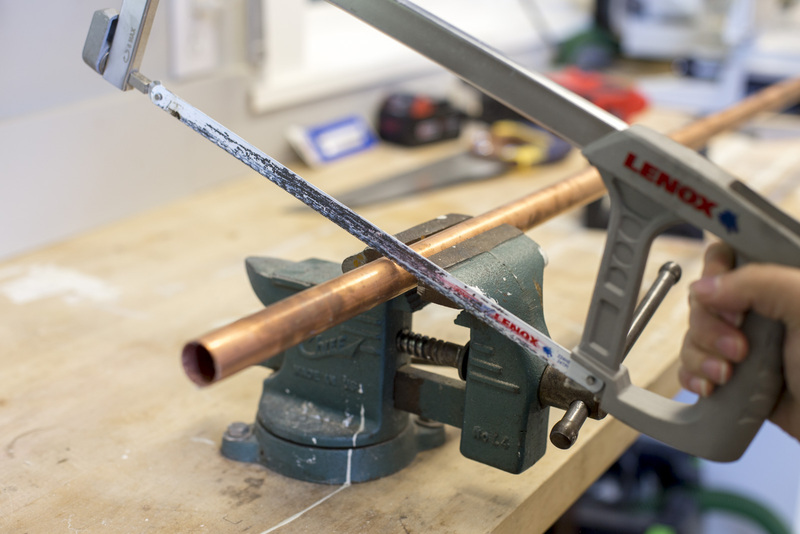 Before using a hand saw, securely clamp down the material you'll be cutting. Saw cut either on the push or the pull of the stroke; moving the blade along the wood in the opposite direction of its strongest cut several times to easily establish a groove. Keep the blade perpendicular to the wood while cutting to keep the blade from binding. Work the saw back and forth firmly, but without added pressure allowing the saw to do the work. For exact 90 and 45-degree cuts use a miter box, like the one pictured below, as a guide.